Digital printing is quickly becoming a popular choice for printing product labels and stickers. And there are plenty of good reasons for this including reduced cost, high-quality, quick turn-around and small batch capabilities. At Weber Packaging, we have been using HP Indigo digital presses to produce stunning product labels for food packaging, lotion bottles, chemical warning labels and so much more. 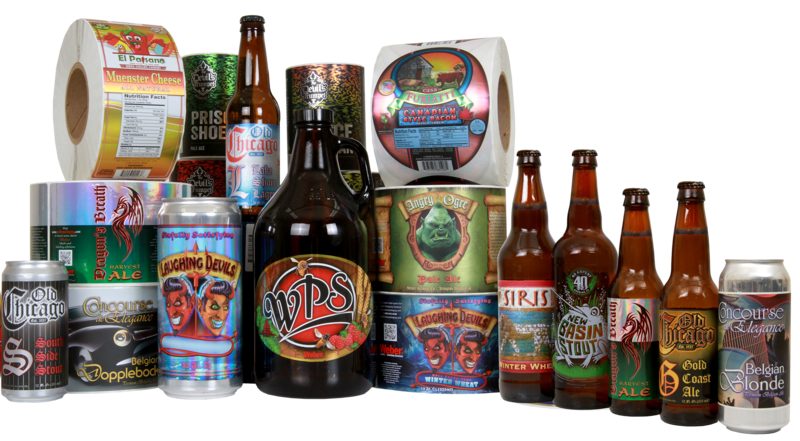 As you plan your new label designs, you should consider all the advantages of digitally printed pressure-sensitive labels. Digital label printing takes a digital file of your design and prints the image directly on to a selected label material on press. Unlike flexographic printing, all colors and images are produced in one step. These presses run slower than flexographic presses so they are ideal for smaller order quantities. Because of the superior printing technology of the HP Indigo press, colorful product packaging labels are produced beautifully. Digital printing is ideal for labels that require at least 4 colors. If you want your label to help sell your product and speak for your brand, the print quality is key. Color consistency, image registration and color vibrancy are all addressed with digital labels. Most of the labels we print on our HP Indigo presses are the primary product label. For instance, beverage labels, food pouch labels, and private label brands are frequently running in our digital room. If your label will be used for branding then chances are it'll be a good fit for digital. Digital printing allows for a much lower minimum than flexographic printing. If you'll need 500-25,000 colorful labels per product then there's a good chance digital labels are a good fit for your product. With short runs you won't need to hold on to inventory you don't need. Variable data printing is a form of digital printing, including on-demand printing, in which elements such as text, graphics and images may be changed from one printed to piece to the next without stopping or slowing down the printing process. 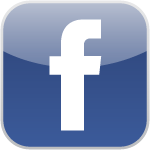 VDP uses information from a database or external file. Flexo printing requires plates for each unique image and color so variable printing on on a flexographic press is impossible. Digital presses can print consecutive numbers, variable data and almost any other label-to-label difference. 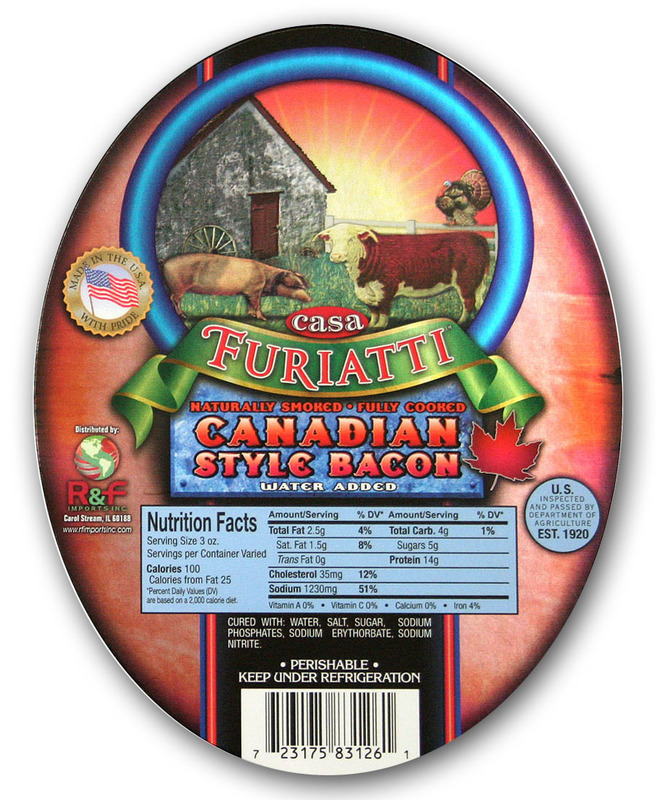 Our featured label this month is the series of deli food labels we printed for a local food importer, R&F Imports. These labels were designed by our Graphics manager, Joe Lozano, and printed on a WS6000 HP Indigo digital printing press. The deli counter is a highly competitive area of any grocery store, so if you're a small brand competing for consumer attention, then you need to maximize your packaging with brand storytelling. This is a challenge we often talk about with craft beer labels and other products at small businesses. You have a limited budget, a small shelf space to promote your brand and you're lacking name recognition with consumers. R&F Imports needed help and decided to rebrand their label with the help of our Graphics manager and marketing team. A beautiful rustic farm scene was designed and printed on a metalized silver label material. To enhance certain parts of the design, Joe Lozano used a matte laminate to soften areas of the design and while allowing other areas to shine. It also gave the overall texture and a soft, high-end feel. Initially R&F was looking for an in-house label printing solution. However, the limitations in print quality and material would make for an undesirable finished product. To create the quality labels R&F wanted and at the quantity they needed, they decided to have Weber print these labels using our HP Indigo digital press. The labels that were printed were for a variety of deli meats and each required a low volume of printed labels (under 10,000). Not only is the digital press able to produce crisp vibrant images but it also doesn't require printing plates, so producing a series of labels with different images is quick and easy. It also means R&F has the flexibility to change their artwork and print new labels without investing in new plates or dies for different shapes and colors. Needless to say, the R&F Imports labels were a big hit. We're proud to announce that this series of labels was recognized with a Gold Ink Award in the Commercial Printing category under "Digital Printing, Labels & Flexible Packaging." The label was judged based on the quality and technical difficulty in printing the label. In its 28th year, the Gold Ink Awards from Printing Impressions magazine is a celebration of the best in printed products. They receive thousands of entries each year from printers around the world who are looking to be recognized by their customers, prospects and industry peers for their superior craftsmanship. Congrats to our Marketing, Graphics and Manufacturing teams for putting together a great product. Pictured above (l to r) is Graphics manager Joe Lozano and Label Production manager Todd Peterson. Want to see them shine in person? Request metalized label samples from Weber. There are many instances where a label application requires a more durable material beyond that of a typical product label. These durable labels are used when a product requires UL recognized labels or the product will be stored in a harsher environment with a long shelf life. For example, think about some of the electric tools in your garage (cordless drill, sander, table saw, etc.) or your furnace and central air conditioner. These products last for years and need important information about the product to be readable for the life of the item. If you look at them closely, you will see warning labels, instructions, rating plates, wiring diagrams, UL recognized labels or other company information. We're happy to announce that there is finally a reliable solution for low-volume durable labeling. With the introduction of our Durable Digital material line, you can now order as few of 500 labels printed on our HP digital presses. The new materials are designed to be resistant to high temperatures, moisture, chemicals and UV exposure. This makes them perfect for warning decals, instruction labels, toy decoration, sporting equipment, tools and more. Our new Durable Digital label material is designed to be used for printing labels on our HP Indigo WS4500 and WS6000 printing presses. Printing labels digitally means you can get high-resolution, full-color process printed durable labels at low quantities. Plus, unlike Flexo printing, the HP Indigo digital press can print variable information on your labels. 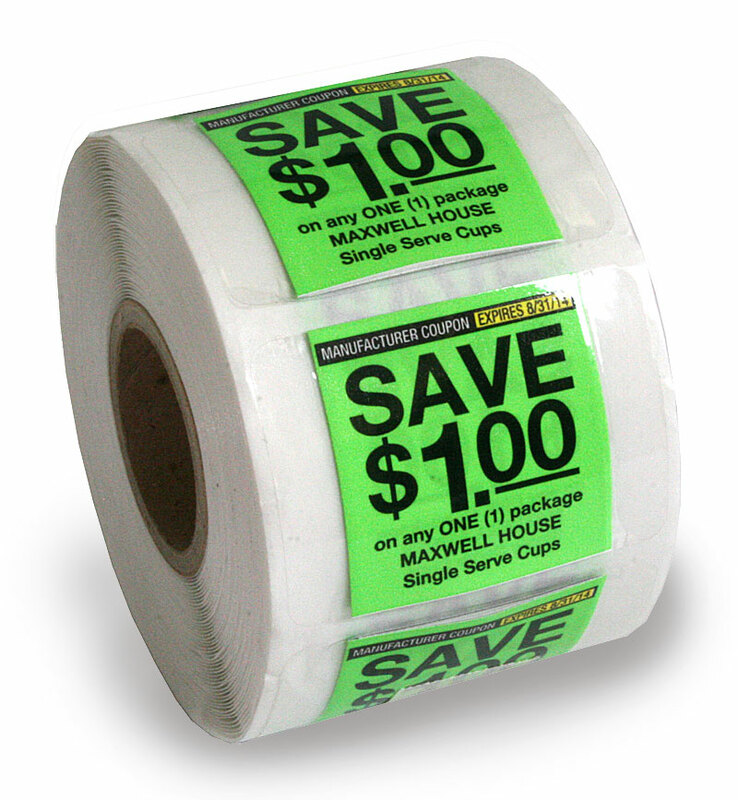 This is a great solution for labels that will have changing serial numbers or even colorful symbols. 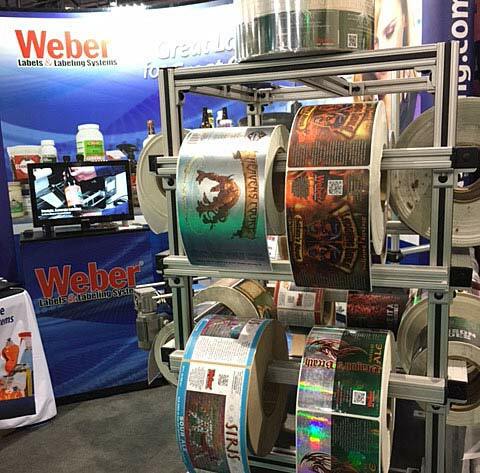 Let's take a look at Weber's new Durable Digital Label materials.